If you put Betty and Kitty – the sweetest beings ever – in a kit, they’d intimidate. So get over it and join the ride. 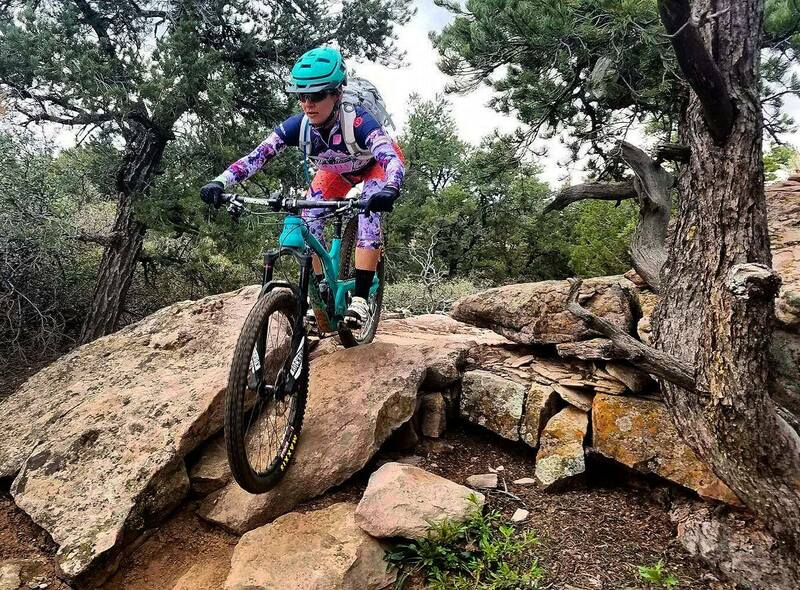 Things are drying out across the Front Range and barring spring snowstorms and gale force winds the ride calendar will fill in nicely from here on out. For those who are new-ish to the team our Green/Blue/Black ride designation may be a bit confusing. We stole the idea from ski resorts, who break down the slopes into beginner/intermediate/advanced terrain. In cycling that translates to the skill and pace of the rider compounded by the cycling route. 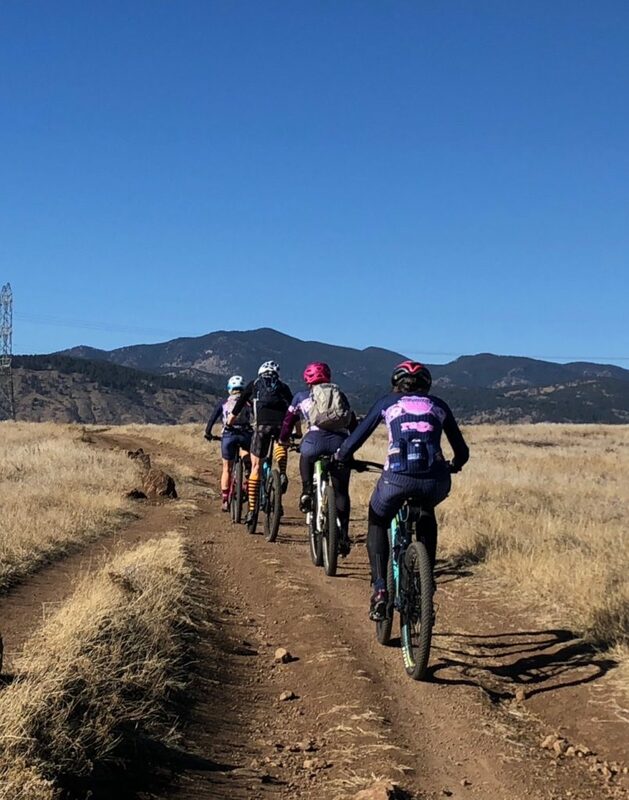 Where our “5 the hard way” ride consists of blue routes (NCAR, Flag, Sunshine, Lee Hill, Old Stage) the fact of putting them all together into one ride makes it a black event. I’ll try to clear the mud from the lens as best I can. Remember, intimidation has no place next to the likes of you so don’t underestimate your ability. Memories aren’t made from the couch. 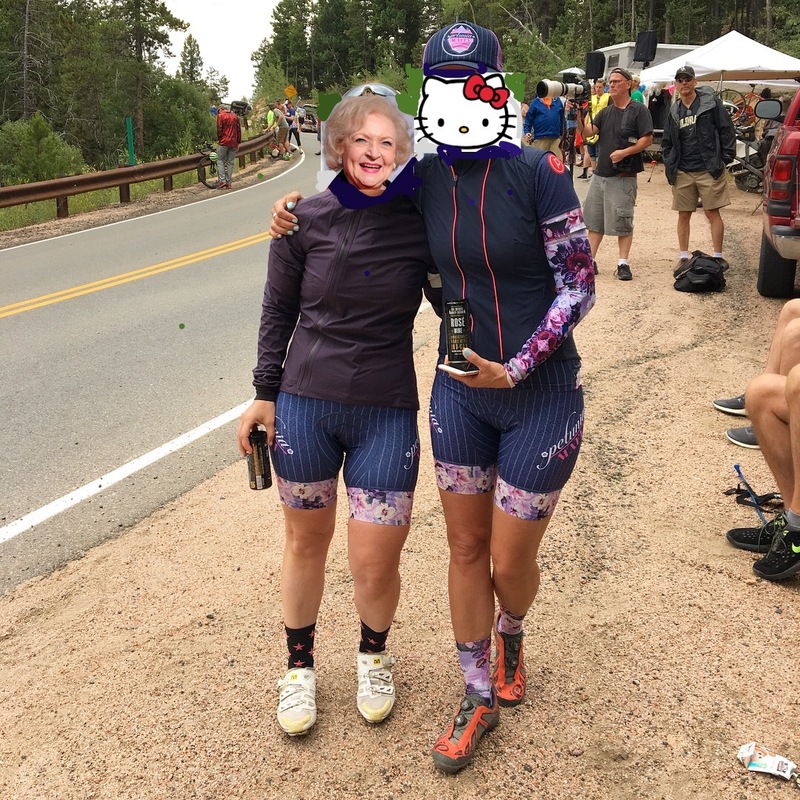 Green rides: For those who like a pace of about 10-14mph average on flat or rolling road rides, and/or are just beginning to get used to riding with others in a group. For mountain biking this is slightly more technical than a hilly gravel ride but doesn’t include drops much bigger than a curb. You may go on a blue ride and walk over the scary parts – that’s cool too! Green are no-drop rides; there will be a sweeper. You can specify that you’re pulling off early if you want to head back on your own, but please do tell the lead or sweep so no one’s afraid you’ve been lost. Blue rides: You like a workout when you ride and go for at least an hour and a half if time allows. The pace averages 15mph on a a flat-ish ride but can reach higher. These rides generally include more climbing and descending than green routes. Blue riders should be comfortable riding on the road in a group. Blue are drop rides; the pack may re-group at certain points but if you’re waaay off the back you’re probably on your own. 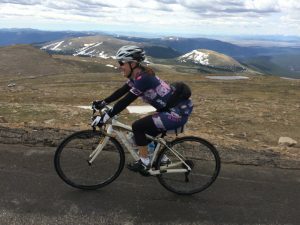 Black rides: You’re pushing the pace, training for a race, want to get your heart rate up, have expert skills, and are a very experienced cyclist. 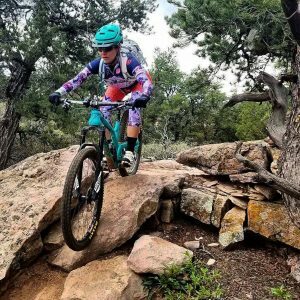 When it comes to mountain biking, you have to know whether you’re black because of advanced technical skills or strong endurance…you choose the ride based on the trail review. Black are drop rides. If you have any questions about whether you can, should, or even want to go on a ride based on its color designation, reach out to the ride leader. She’ll give you a better indication if it seems right. It’s all about maximizing fun and therefore having similarly-matched ride partners is what we’re after.